Dreamy one-level Santa Monica Canyon Traditional located just a block from Canyon Elementary and minutes from the beach, shops, restaurants & more. Large, light-filled living room with fireplace opens to charming, wood-paneled family room featuring a huge brick fireplace and many french windows. Spacious kitchen/dining leads to back brick patio/yard. Three generous bedrooms, plus one bath off the hallway and a half-bath off the kitchen. Recently painted and re-carpeted. 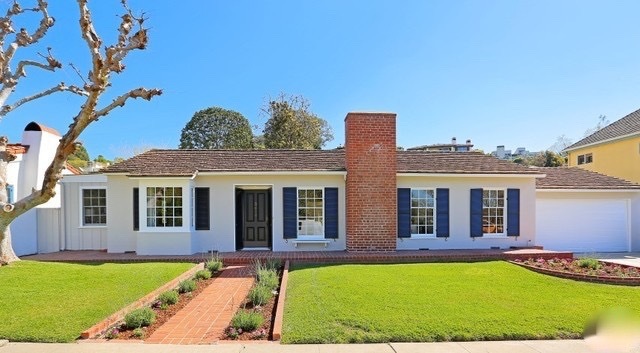 This darling home exudes charm & character and lends itself to many possibilities.